Thanks to the Apple, you can expect a plenty of devices to copy the iPhone X’s unholy notch in the years to come (even though Essential was first). 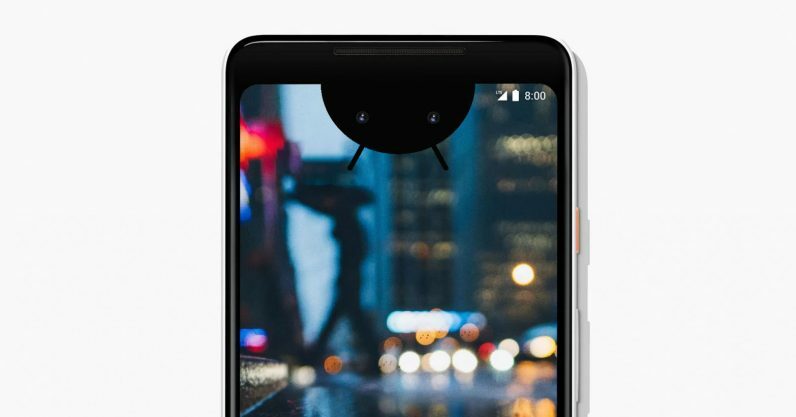 Now seems Google is preparing for this notch-filled future by building support for screen cutouts directly into the UI for Android P.
According to report by Bloomberg, the next version of Android – allegedly codenamed Pistachio Ice Cream – will include a ‘dramatic redesign’ in order to lure more buyers away from Apple’s ecosystem. It will also bring tighter integration with the Google Assistant, improved battery life, and native support for multiple screens and fordable displays. When I reviewed the Essential Phone, I found the notch mostly faded away, although it’s much smaller than the one on the iPhone X. Still, was better implemented in some apps than others, and it caused annoying letter-boxing when watching videos. Native support built into Android could help ensure apps display optimally on devices with notches without developers having to make tweaks for each individual phone. It’s good to see Google is already working on the problem: We’ve already seen one iPhone X clone, and Huawei’s upcoming P20 will reportedly include a small notch as well.